Microsoft offers free email account (outlook.com or hotmail.com) and on top of this, registered users also get free access to MS Office Online. Klik Create account apabila selesai. Find the Application button located at the top left corner of the web page. 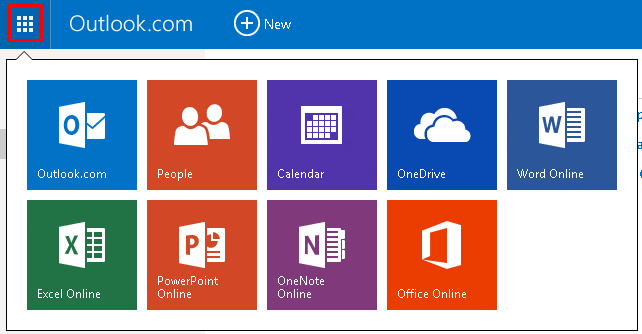 Click the button and a pop up menu shows the MS Office Online applications that you can use immediately.